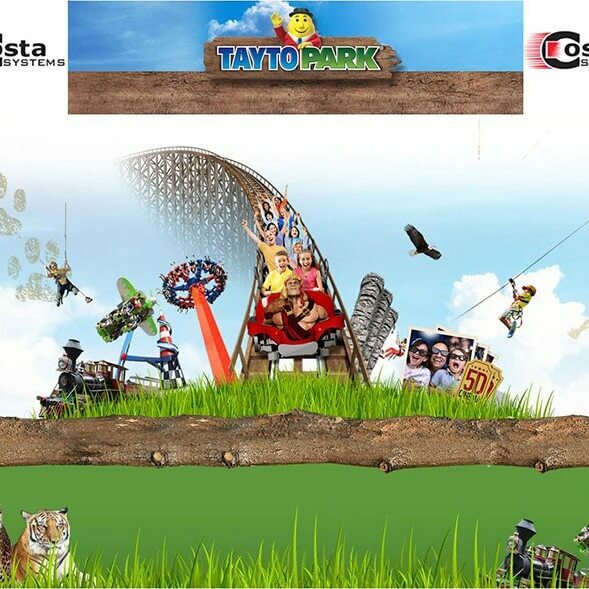 Costa Systems are giving away a set of family tickets (2 Adults and 2 Children) to Tayto Park this summer! Log onto our Facebook page https://www.facebook.com/CostaSystems/ Like and Share to enter. Tayto Theme Park & Zoo is the well known fun filled theme park in Ashbourne Co.Meath. With over 100 attractions, you can be guaranteed to have hours of fun for all ages. If you love animals, you will enjoy the vast array of exotic animals in the Tayto Park Zoo where you can visit the Wild Cat Plains where you can see Lions, Leopards and Tigers while The Buffalo Ridge has a herd of American Bison. If you ever wanted to experience how your favourite crisps are made, why not visit the Tayto Factory. You can learn all about the history of Tayto and see the processes involved in making Tayto crisps.